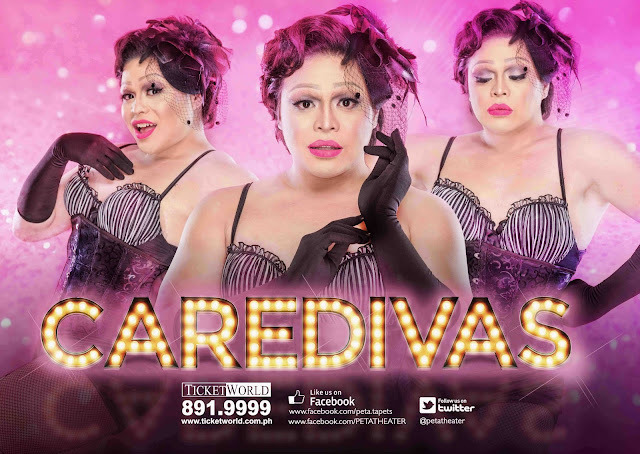 Philippine Educational Theater Association’s (PETA) comedy musical Care Divas returns to open its 50th anniversary with a whopping 50 shows from February 3, 2017 until March 19, 2017 at The PETA Theater Center. 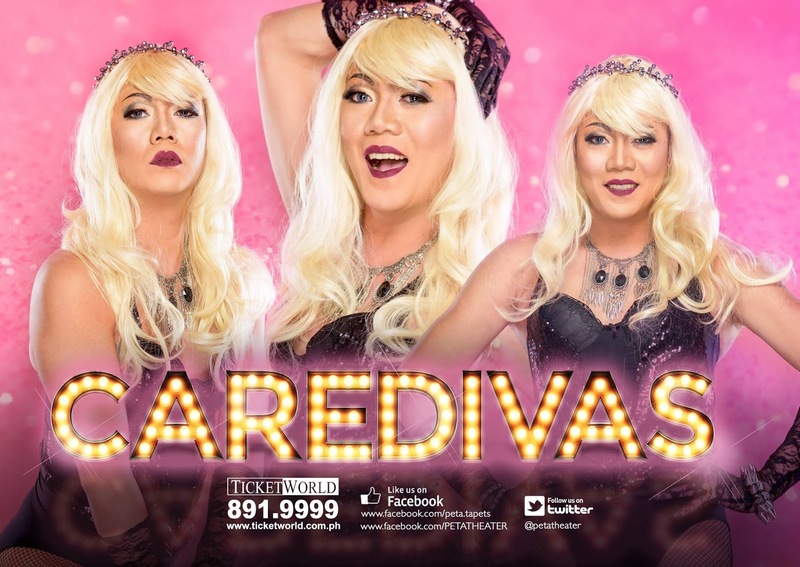 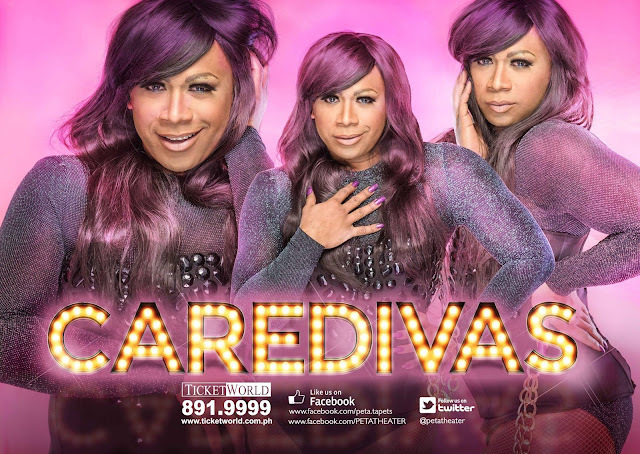 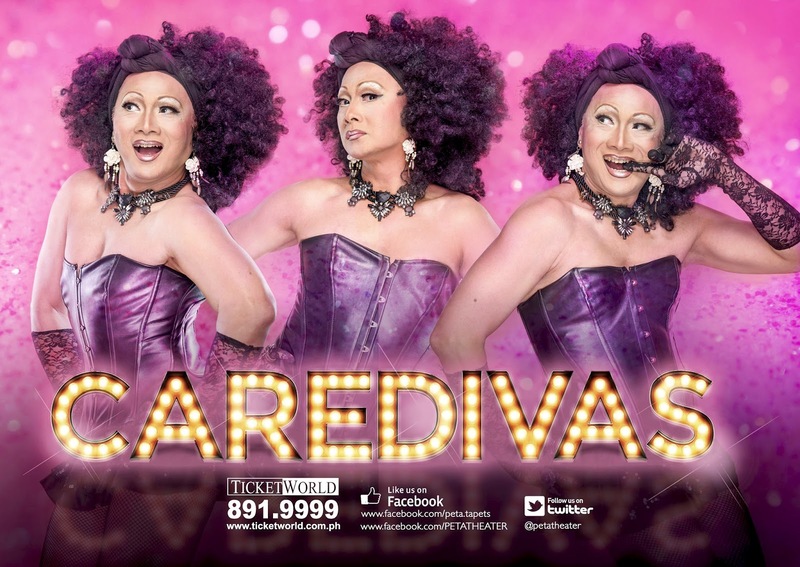 Care Divas a disarmingly funny and candid musical drama about 5 transgender Overseas Filipino Workers in Israel who work as care givers in the morning and transform into glamorous drag queen performers at night. 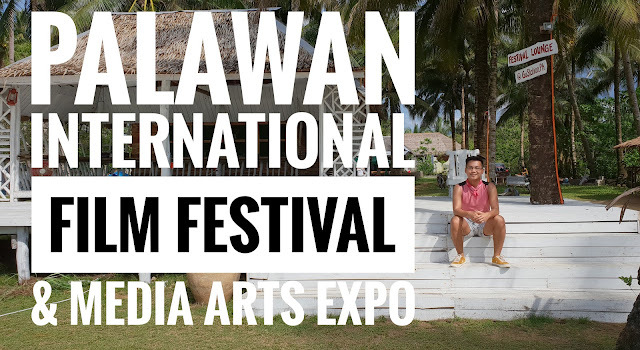 While desperate to make ends meet, they also struggle to search for acceptance in a foreign land. The play’s wickedly funny text, written by award-winning playwright Liza Magtoto, tells of the lives of the main characters: the kind and loving Chelsea, the often-sarcastic group leader Shai, the ditzy Thalia, the bubbly Kayla, and the ill-tempered Jonee. 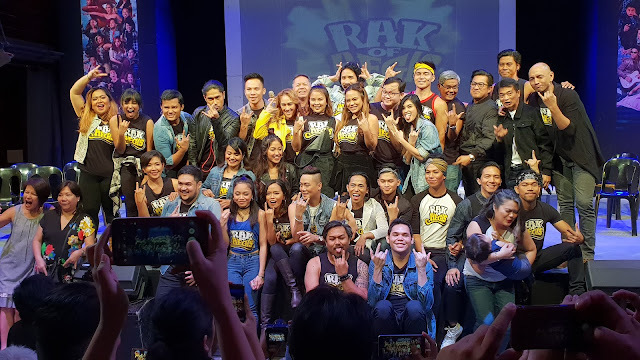 Vincent de Jesus’ musical score leaves audiences humming tunes as it weaves through the narrative. 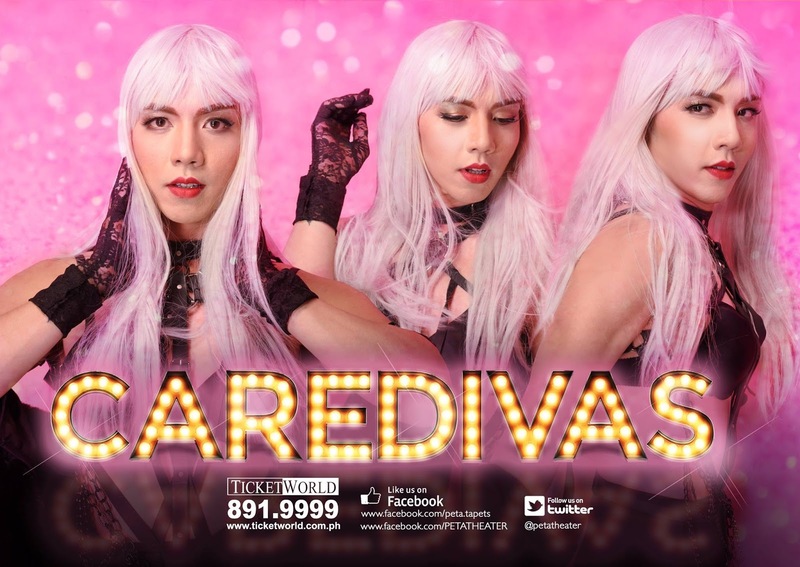 Under the direction of Maribel Legarda, the creative team behind the show includes costume designer John Abul, lighting designer Jonjon Villareal, visual artist and set designer Leo Abaya, and contemporary dancer and choreographer Carlon Matobato. 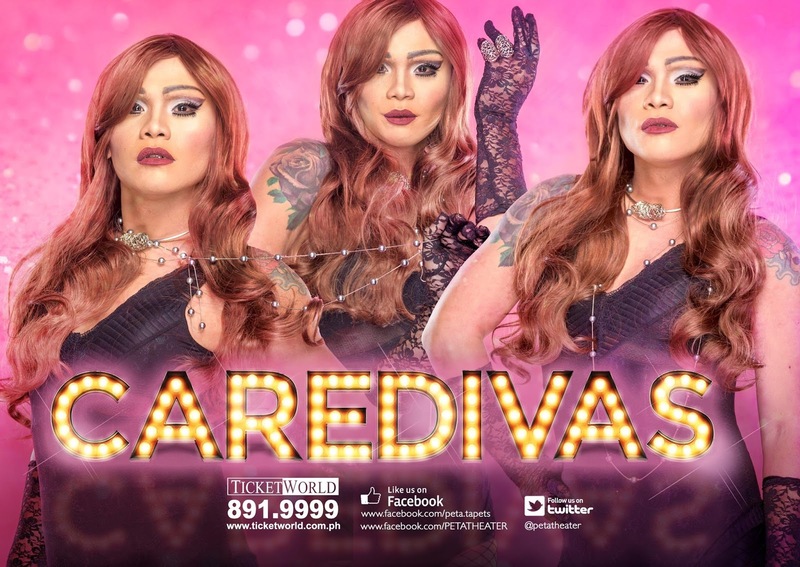 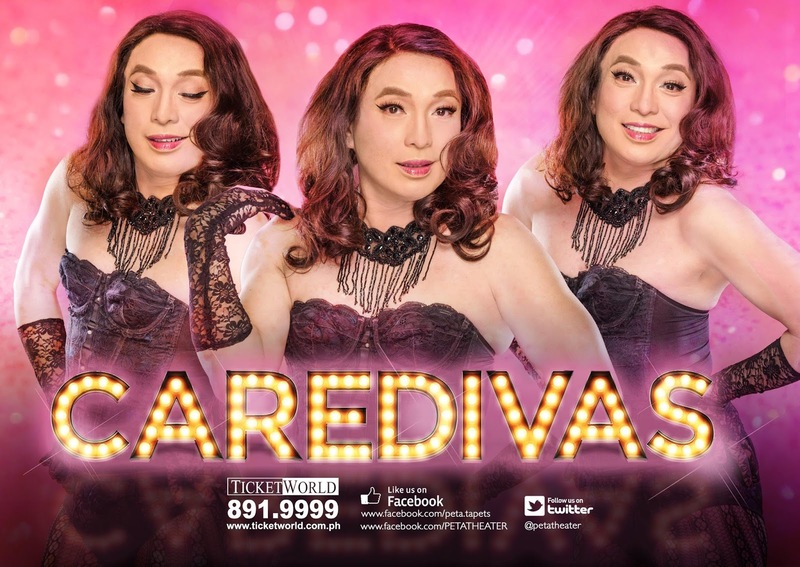 Care Divas includes a powerhouse cast of theater actors: PETA artists Melvin Lee, Vince De Jesus, Ron Alfonso, Dudz Teraña, Eko Baquial, Jason Barcial, Buddy Caramat, Gio Gahol, Joan Bugcat, Eric Dela Cruz, Joseph Madriaga, and Gold Villar; plus guest artists Ophir Burton, Ricci Chan, Red Concepcion, Jef Flores, Paul Holme, Sherry Lara, Thou Reyes, Leo Rialp, and Myke Salomon. 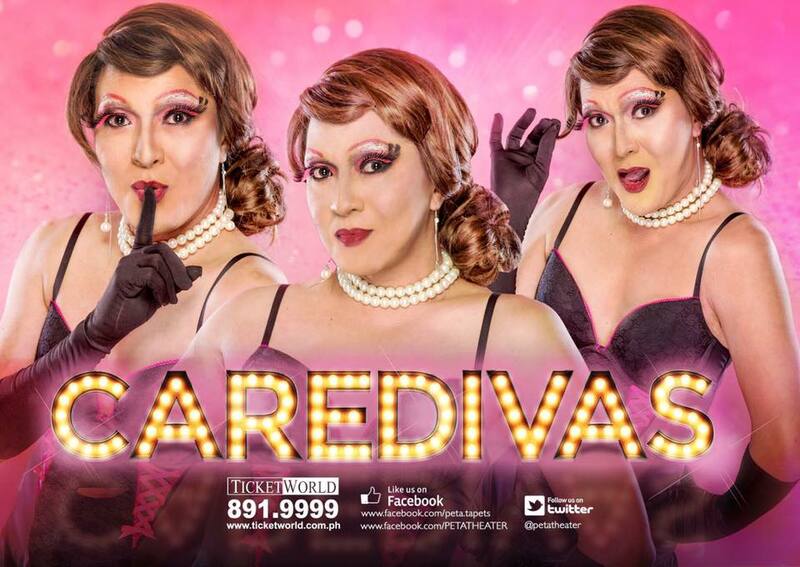 Care Divas is showing from February 3, 2017 until March 19, 2017, (Tuesday-Sunday, 3:00p.m. 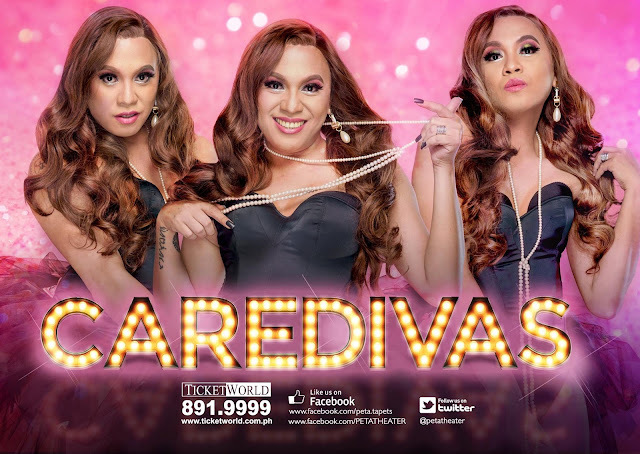 and 8:00 p.m) at the PETA Theater Center. 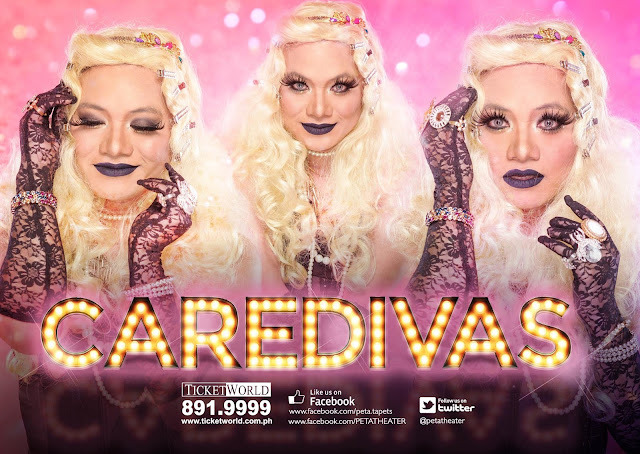 For inquiries and ticket reservations, contact PETA Marketing and Public Relations Office at Tel. No. 725-6244, petatheater@gmail.com or TicketWorld at 891-9999, www.ticketworld.com.ph.